At the end of the day, our homes and what they look like being a reflection of ourselves on a very deep level. 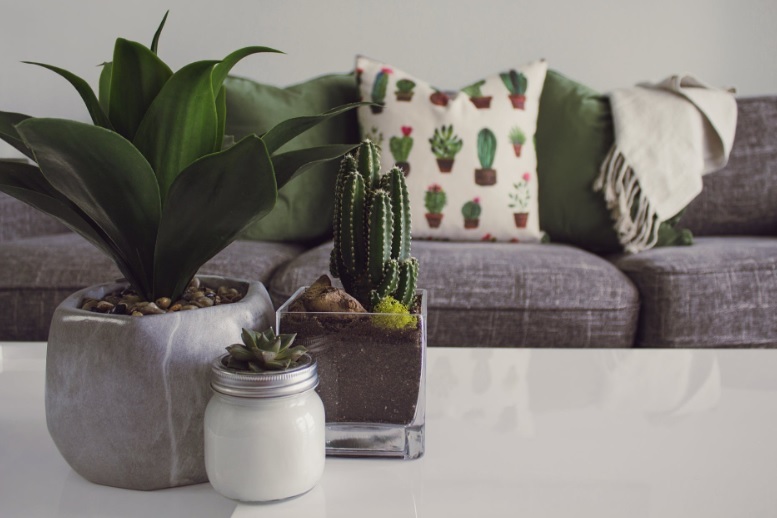 While I’m not diving head first into the idea of Feng Shui, how you choose to design your home can have a huge effect on how the people inside feel and perceive their surroundings. Certain design choices can make a room feel bigger or smaller, for instance. Home design also reflects the individuality of the homeowner, as you have full reign in decorating your space to your heart’s content. Trends in home design shift on a yearly basis, and 2019 is no different. The early 2000s were dominated by minimalist and modern design choices, but as the years have gone on we’ve backed off from these choices and decided to put much more personal touches into our homes to truly make them our own. There’s a huge desire for unique pieces inspired from around the globe to make homes feel one of a kind. How do people accomplish this? While previous years have been dominated by synthetic fibers and ultra new materials, there is a return of materials like granite, concrete, and metals like copper to give homes a more down-to-earth vibe. Concrete flooring is making significant inroads now that there are a multitude of design choices available and the relative ease that comes with having that kind of floor. In fact, this list of new land estates for sale in Perth by Vision One Homes is chock full of homes, full of new natural design choices, showing that the market is quickly turning towards this new way of seeing things. For whatever reason, we’re choosing to eschew the previous desire to plug in heavily to futuristic materials and we’re now choosing much softer choices. For as long as I can remember people have largely settled on deep colors that tend away from being too vibrant as there was too much risk associated. Now homeowners are being much more adventurous with their color palettes in an attempt to make some contrast between their more muted choices to make certain elements of their home pop. Keep an eye out for colors you’d seldom see like pastel yellows or greens in the coming year, they’ll be sure to be making some worthwhile appearances. The period between 2014-2018 was marked by a preference towards solid color design choices with little in the way of patterning. Now interior designers have their eyes set on everything from floral to geometric patterns in a way to further differentiate spaces from what people are used to. These patterns are also tying in to the desire for more color variation in homes and you should expect to see some pattern choices in 2019 that would be considered way too off-base for previous years. Vintage designs and artisanal fixtures have been rising in popularity for some years now as ambiance is making its way to the forefront of the minds of all inquisitive designers. Interesting light covers that contain no exposed lighting, as well as a mixture of brass and copper fixtures will continue to have a place in 2019. These artisanal fixtures made by small businesses and creators serve to add a much more personalized and natural feel to a room as opposed to the massively manufactured fixtures we’ve all become used to. 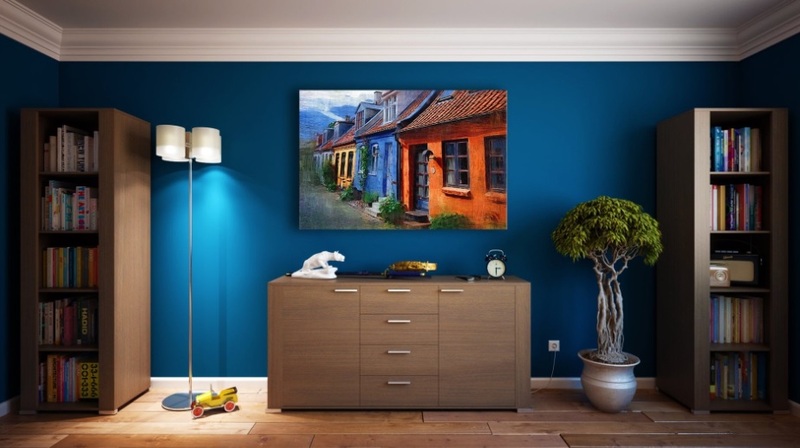 In our increasingly instagrammable and framable world, choosing to add some finishing touches to existing materials is a favorite of the budget conscious and design trendy homeowner for 2019. Accents made of concrete, brass, and other natural materials can help blur the lines as to whether or not a home is ingrained more in the tech world or the natural world, something increasingly desirable for modern homeowners as technology seeps into every facet of our daily lives. Things have a habit of going out of style and then becoming en vogue again several years later. In this case, we’re talking about design choices from the 70s with a bit of modern flavor added. What was previously deemed tacky and out of touch is now back in the forefront of home style choice as warm palettes and interesting textures make a full comeback to the world of home design. There’s seldom a way to predict how design trends will go any earlier than about six months worth of time. The tastes of the masses are fickle and subject to change at any given moment, and even the trends we’re seeing right now might completely reverse by the end of the year, there truly is no way of telling what may come on the horizon. Regardless of that fact, these trends are what we’re noticing right now and most of them have been at least a year in the making, so they’ve all become fairly developed and had time to go through their growing pains. Hopefully this list helps serve as an inspiration for your home decorating endeavors! Previous Post:What is VPN and How Can It Be Beneficial to Your WordPress Page?